Classical Jamming for Musical Teens! 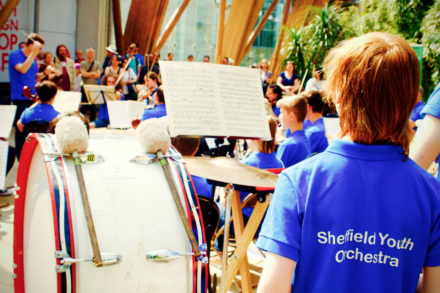 If you are aged 11-18 and Grade 4+ standard, bring your instrument along to an Open Rehearsal hosted by Sheffield Youth Orchestra. We are always on the look out for new players. This will be a great opportunity for you to experience what it would be like to play in an orchestra, and meet all sorts of new friends from every corner of Sheffield. This is a FREE event and refreshments will be provided.